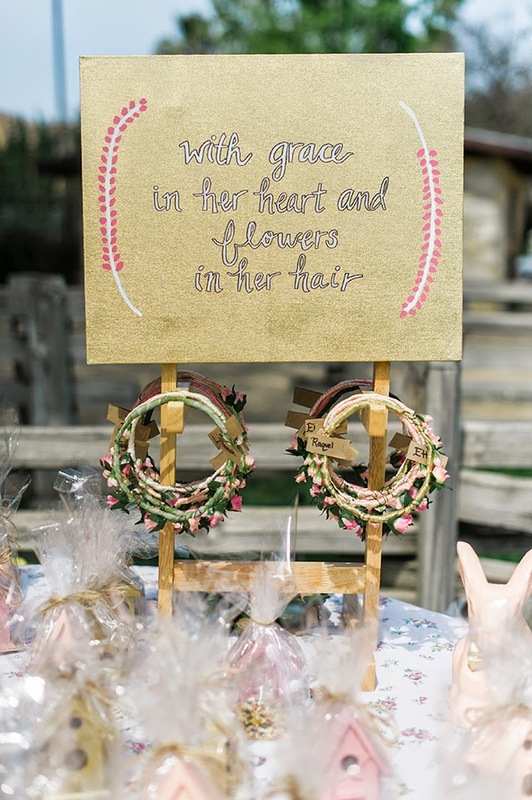 Happy Friday Fawn Friends!! 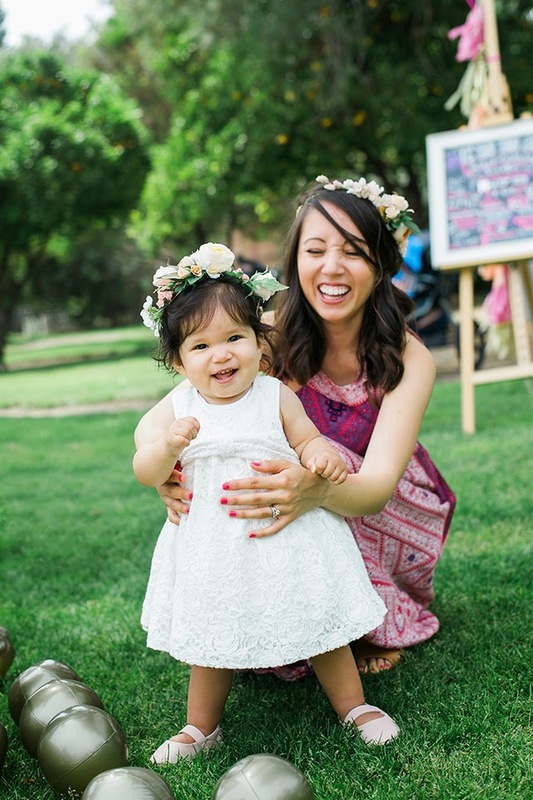 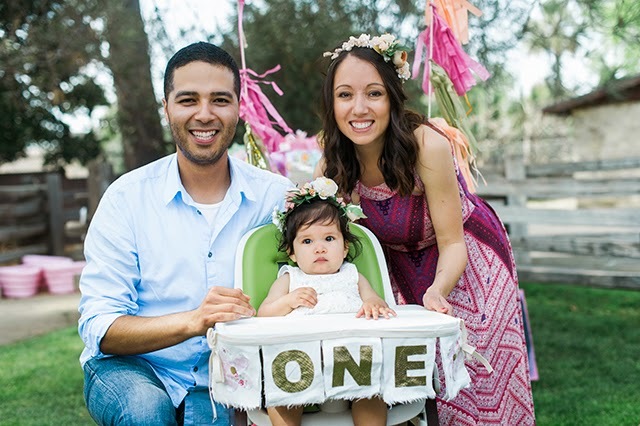 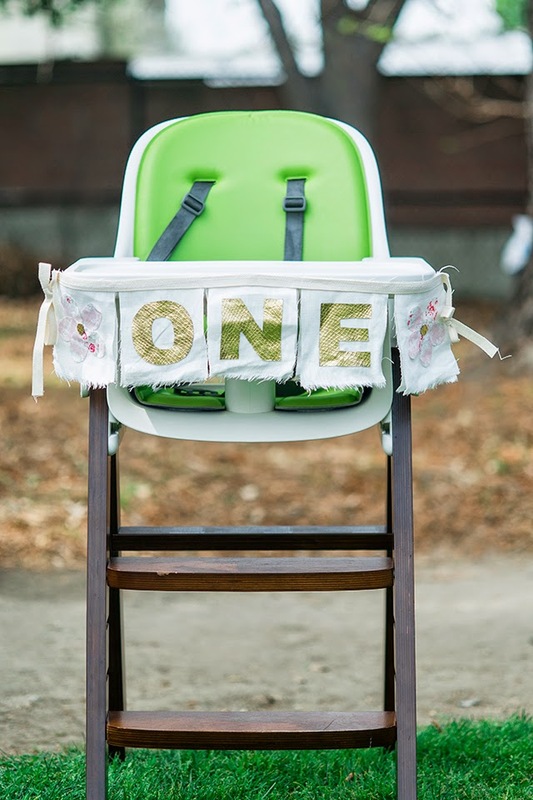 Today I am sharing a GORGEOUS Spring Themed 1st birthday party submitted by So Cal's amazing photographer, Melinda Jankowski! 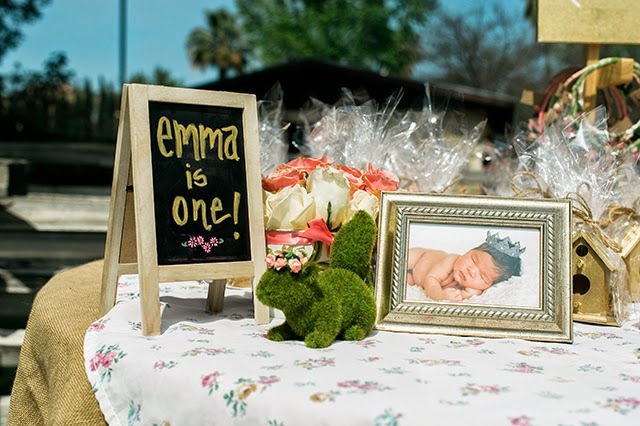 I have to say I am absolutely smitten with all the details that talented mom, Paola designed for her daughter Emma's one year celebration! 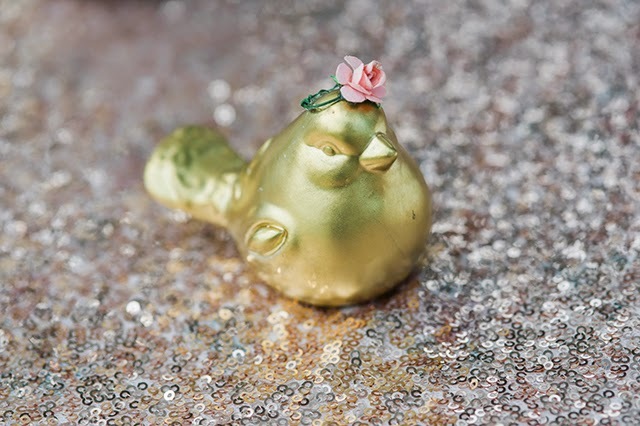 From the fanciful flower halo party favors to the chic little birds and bunnies that sat atop each table, photographer Melinda captured it all in a bright and beautiful way! 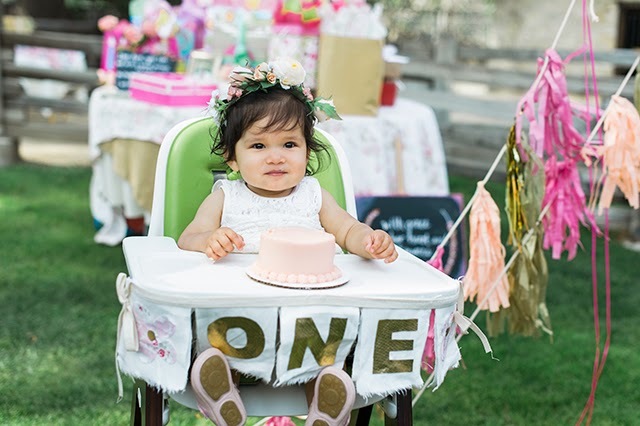 Just so I don't leave anything out, I'll let Melinda tell you all about this magical and memorable 1st Birthday Picnic in the Park! 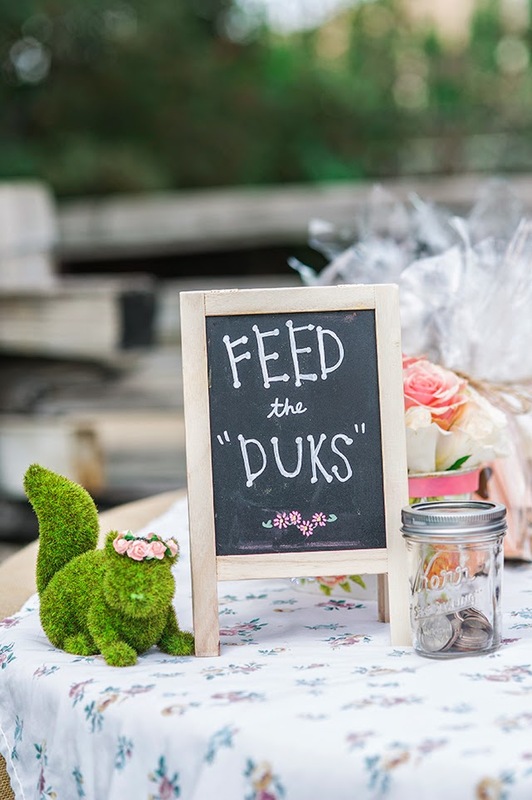 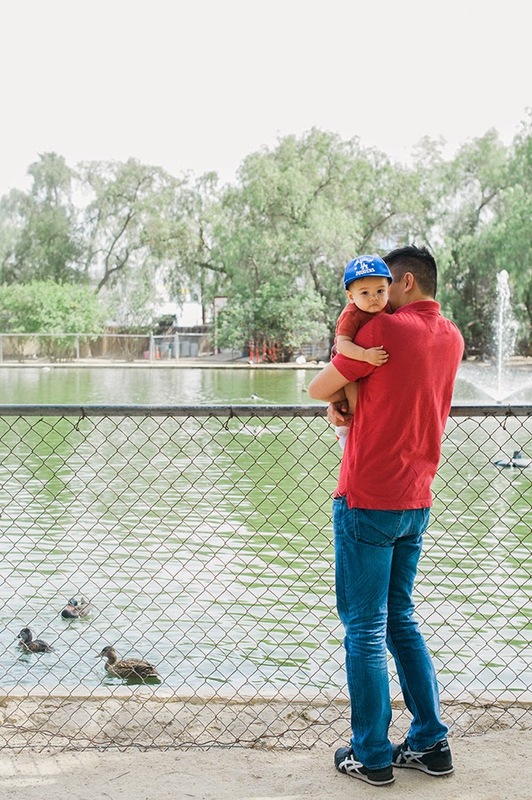 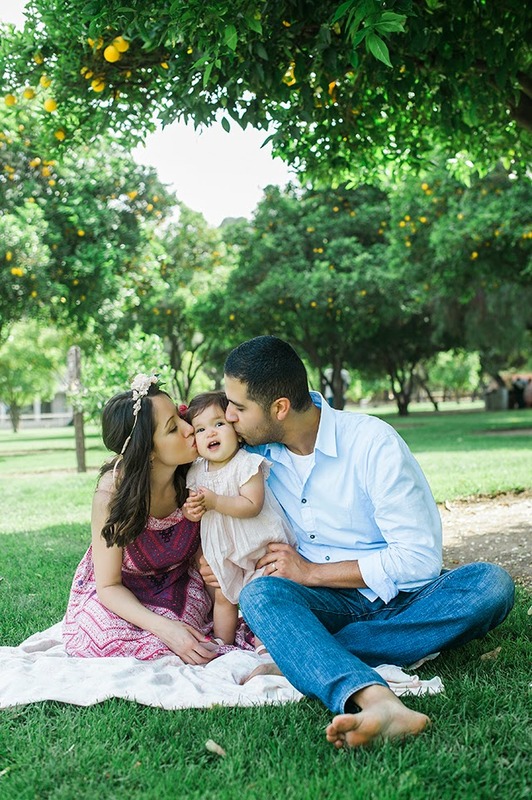 Inspired by little Emma Valentina's love for all things avian, including bird watching and duck feeding at the nearby pond, proud parents Paola and Josh threw a gorgeous spring themed first birthday party with just the right amount of romantic, feminine flair. 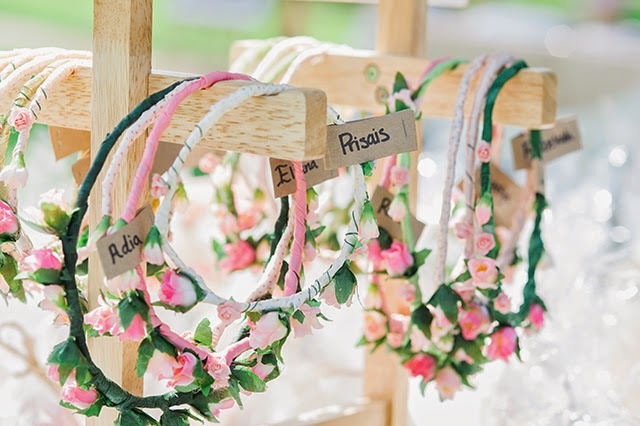 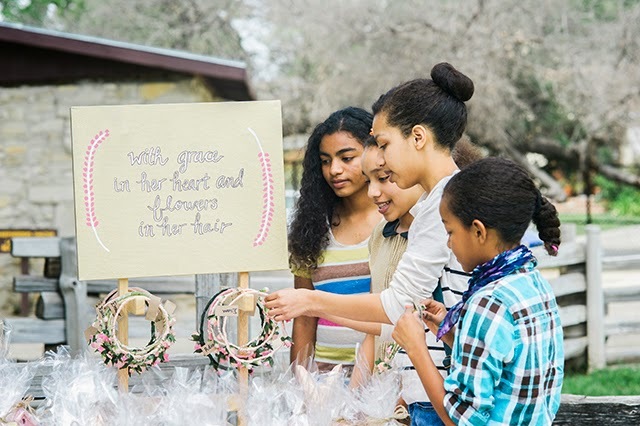 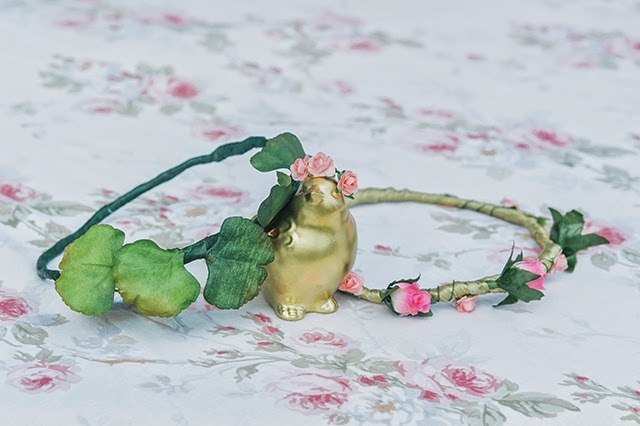 Completing this nature inspired look were floral headbands for the girls and ivy headbands for the boys, whimsical squirrel and bird decorations adorned with miniature roses, and pink birdhouse kits with bird seed. 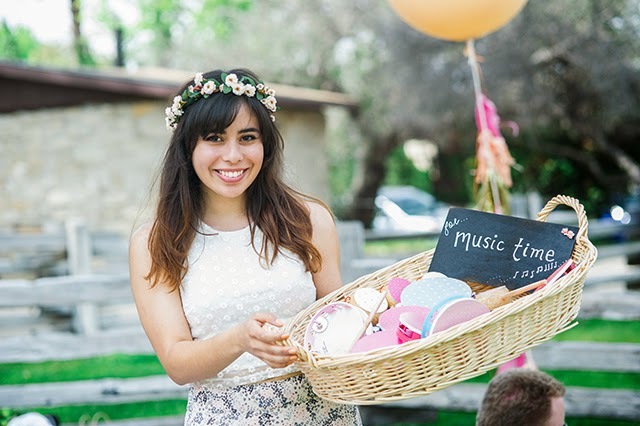 The very talented Paola designed the décor, table spreads, signs, tassel garlands, and romantic floral headbands with the help of her mom and sisters! 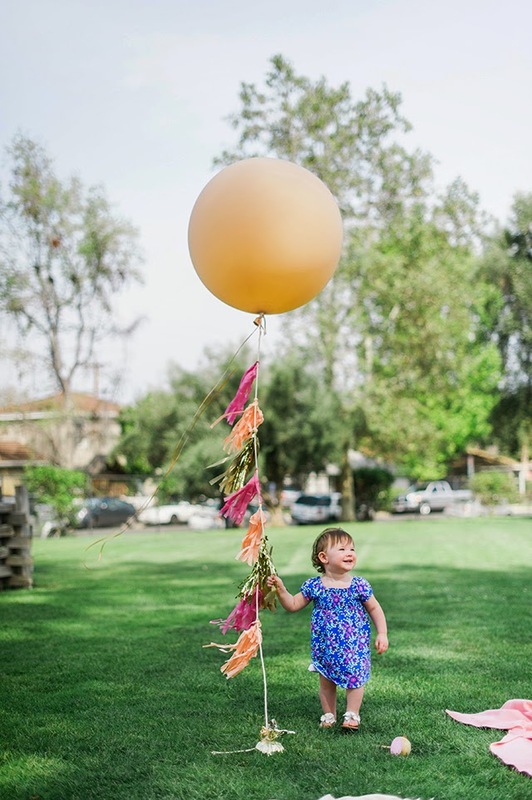 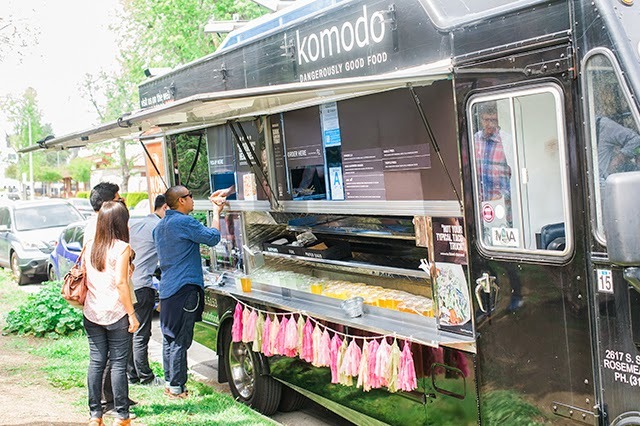 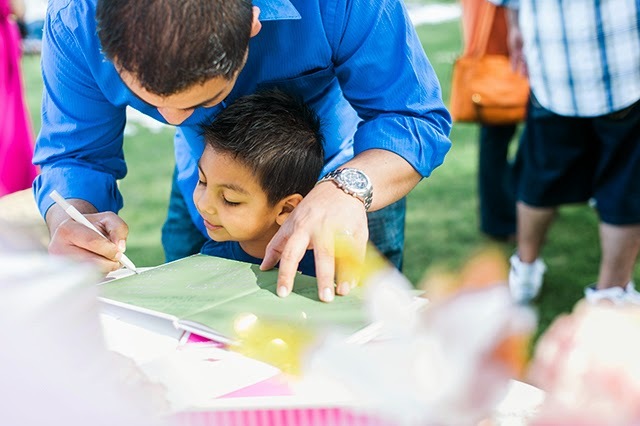 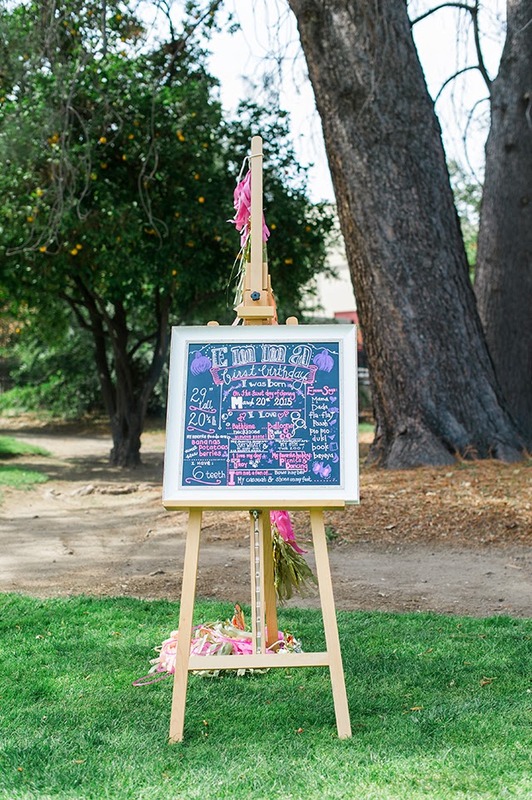 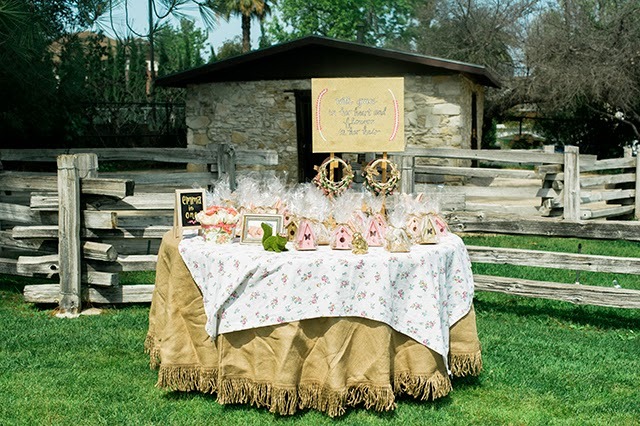 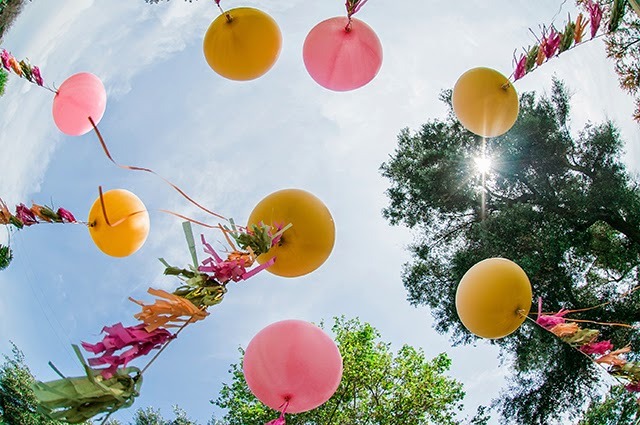 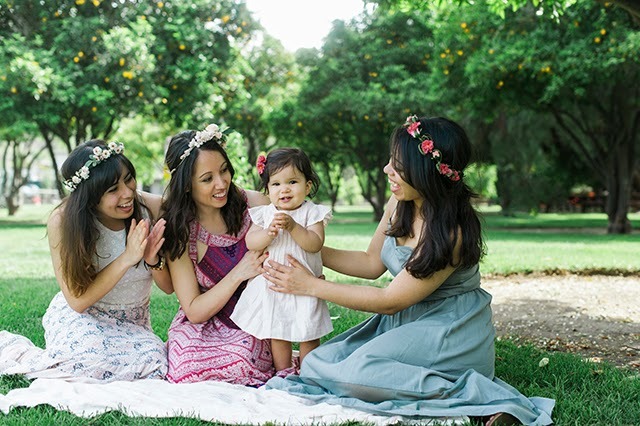 With floral picnic blankets laid on the top of the lawn and abundant lemon and orange trees bursting with vibrantly colored fruit, Los Encinos State Historic Park was a picturesque and ideal location for Emma’s nature filled party. 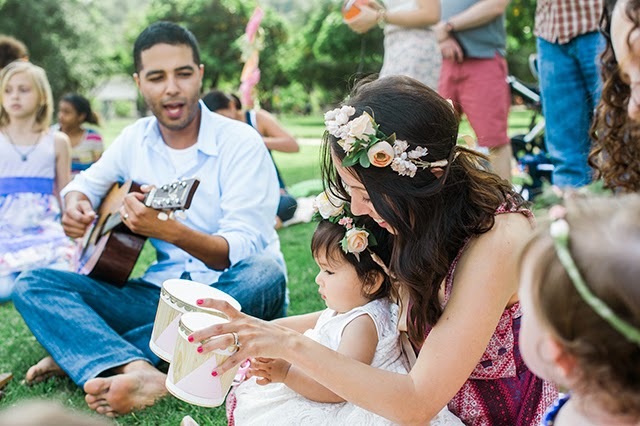 All of Emma's little friends came to celebrate with her and partake in music and a festive singalong, led by Josh on guitar. 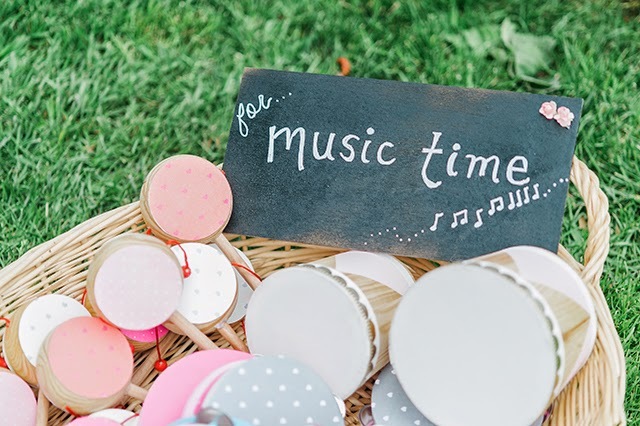 Everyone was singing, beating or shaking their little drums, and having a truly wonderful time! 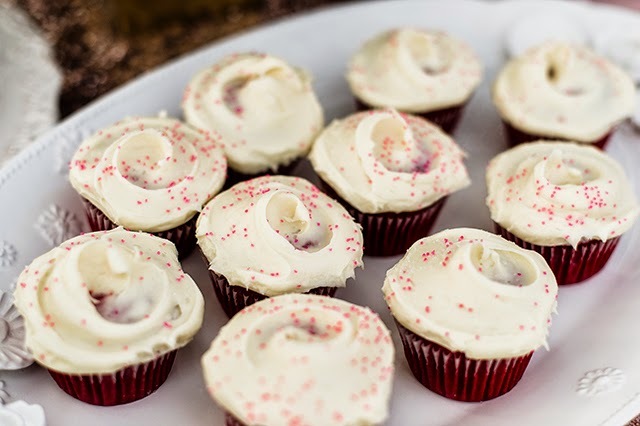 One of the most memorable moments of the day was Emma's expression right after she sampled sweet frosting for the first time -- truly priceless. 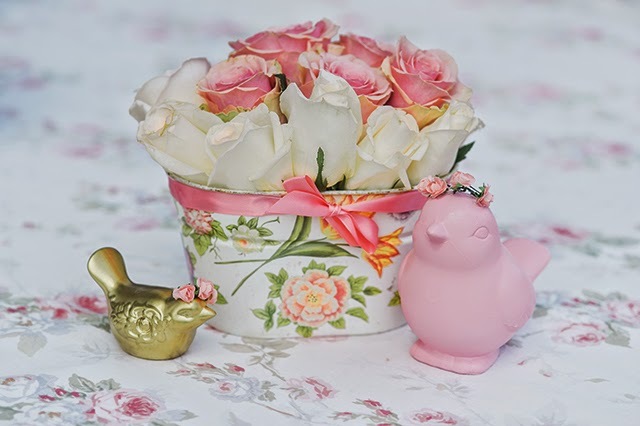 What a happy day it was! 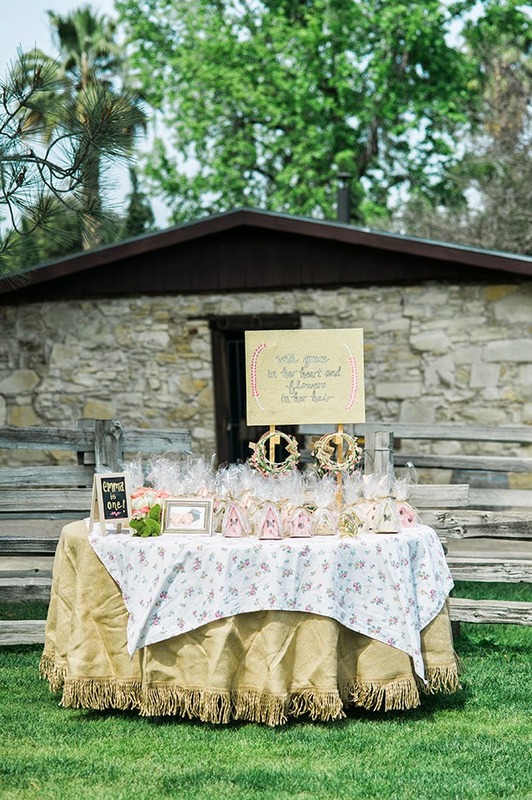 To stay up to date with all of Melinda Jankowski's Amazing work, follow her on Facebeook & Blog!